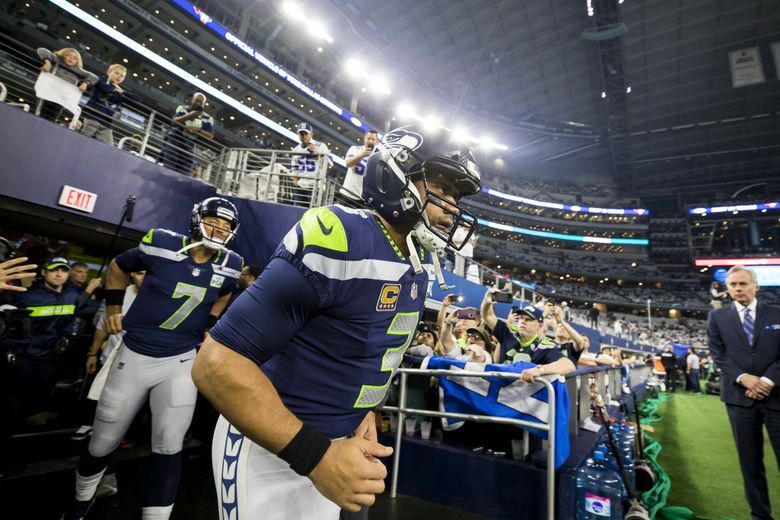 Seattle also will again have to figure out its backup quarterback situation, which has some uncertainty heading into the free agency and draft. With the NFL combine two weeks away and free agency about a month away (players can begin signing with other teams March 13) it’s time to reassess where things stand with the Seahawks heading into the heart of the offseason. We’ll do that by unveiling our annual position reviews over the next week or so, taking a look at what the Seahawks have in each area as well as major question marks and what might be available in the draft and free agency. We’ll start with the most important position of all — quarterback. The Seahawks couldn’t have asked for much more out of Russell Wilson in 2018, even if some wondered at the end of the season if they should have, indeed, asked for more. Regardless of the debate that elicited out of the playoff loss to Dallas whether Seattle should have let Wilson throw it more and earlier, the tweaks in the offense in 2018 resulted in what by any measure was maybe the best of his seven NFL seasons. Wilson threw for a career-high 35 touchdown passes while tying a career-low with seven interceptions and was especially good on throws of 20 yards or more — according to Pro Football Focus, Wilson was 33-68 for 1,108 yards, 15 touchdowns and just one interception on throws of 20 yards or more (an improvement from 2017 when he was 33-91 for 1,134 yards, 12 touchdowns and five interceptions). And the debate over how Wilson is used sometimes overlooks his impact on the running game. The Seahawks made greater use of the zone read this season, plays on which Wilson has the option to hand the ball off or keep it, finishing with 853 rushing yards on 184 zone read plays, also scoring eight of their 15 rushing TDs. Seattle ran the zone read 42 times more than any other team (Baltimore and rookie QB Lamar Jackson was second at 142). True, Wilson ran for just 376 yards, the second-lowest of his career. But he averaged 5.6 yards per carry when he did run, and the threat of his run, and still-present ability to make big plays with his feet, continues to help the Seahawks immeasurably. Wilson was the only quarterback to take a snap for Seattle this season, on the field for every one for the first time in his career, the only QB in the NFL this year to take every snap. Key stat: Wilson will enter next season already holding the team’s franchise record for career touchdown passes at 196. Contract situation: Signed through 2019. He is scheduled to make $17 million in 2019 and count for a $25.2 million cap hit. Key stat: Hundley did not play a down in 2018. Contract situation: Hundley can be an unrestricted free agent on March 13 but could return. Key stat: Lynch went 1-3 in four starts for Denver in the 2016 and 2017 seasons but did not play last season after being waived by the Broncos before the start of the year. Contract situation: Signed through 2019 on a one-year deal reported to be worth $645,000, the minimum he could make. Eventually, the biggest one will be negotiating with Wilson and seeing if there is a chance to get an extension done this year or wait until after the season. The Seahawks would likely prefer to get Wilson locked up this summer — and recall, since he’s not a free agent now but can be a year from now, they probably won’t start talking to him until late spring or summer (I wrote last week why it’s not a big deal they haven’t talked yet). But if they can’t get a deal done before the season, the Seahawks know the franchise tag is an option for 2020, as does Wilson, meaning each side knows they don’t have to rush into anything even if 2019 is the final year on his current contract. Wilson has said he’d be OK with playing the 2019 season with just one year left on his deal, something he avoided in 2015 by signing right as training camp started. The other objective will be to fill the backup QB spot, which has been a revolving door for a while now — Tarvaris Jackson from 2013-15, Trevone Boykin in 2016, Austin Davis in 2017 and Hundley last year. Hundley, acquired for a sixth-round pick, could be back. But the Seahawks signed Lynch — a first-round pick in 2016 — as insurance if Hundley doesn’t return and competition if he does. As long as Wilson is around, though, don’t expect the Seahawks to invest a whole lot in another quarterback. If Hundley were to re-sign, then the Seahawks wouldn’t seem to need to add anyone else at QB other than maybe a rookie of some sort. Hundley, though, might want to go somewhere he has a better chance of playing. Seattle paid Hundley $705,000 last season and would have to pay him at least $805,000 this year. But a couple of vets who are undrafted free agents who might make some sense if Seattle needs to add one are Geno Smith (with the Chargers last year) and Robert Griffin III (with the Ravens last season, and it’s thought Baltimore is interested in bringing him back). The draft became more interesting this week with the announcement by Kyler Murray that he will pursue football and give up baseball for now. Would Seattle take a flyer on Murray in the first round with the 21st pick if he were still there as it’s thought they were tempted to do with Patrick Mahomes at 26 in 2017? But if somehow he slips, then Seattle might have to seriously consider it, especially depending on what it may know about how things will go with Wilson’s contract talks. What appears a greater willingness to tag Wilson in 2020 would mean Seattle could look at having a young QB sit for two years before potentially being needed. The Seahawks at the moment have just four picks, though, and quarterback is probably the team’s least area of overall need, meaning if Seattle does add a rookie, it’s more likely to be through the undrafted free agency route. One player the Seahawks know well who could be available? UW’s Jake Browning, who showed enough mobility in his college career to think he could be a fit in Seattle’s offense.